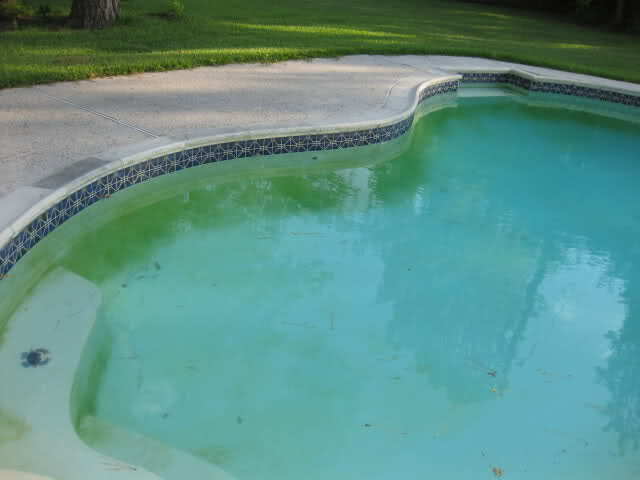 Mustard Algae An Issue In Your Pool? Not Anymore. Mustard algae will grow easily due to the high water temperatures, low chlorine and lack of water circulation. Keep free chlorine levels between 2 – 3 ppm. Run pool pump between 8 – 10 hrs/day. Shock pool once a week. Use Mustard Out 60 once a week. Call or stop by the store with any questions! If you are getting a recurring mustard algae problem in the pool, stop by either of our locations and pick up a quart of No Mor Problems. We are having great success keeping Mustard algae at bay with this product. As water temp increases the mustard algae is more prevalent.